Gay Kleinman Killian, 89, of Mesa Arizona and beloved wife of C. Max Killian was born Sunday July 11, 1926 in Lehi Utah, died on Sunday July 26th 2015 in Mesa Arizona. 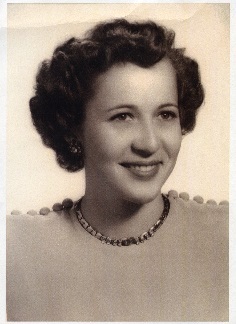 She was the daughter of Ray and Leath Kleinman of Phoenix, Arizona. She is survived by her husband of 66 years C. Max Killian of Mesa, son’s Mark Killian (Nancy), David Killian (Carol) both of Mesa. She has 12 grandchildren and 24 great grandchildren. A sister Barbara Pettit of Utah and Sister in law Josey Kleinman wife of Lynn (deceased) brother of Gay’s living in Utah. Gay attended school in Phoenix and in Los Angeles and graduated from Dorsey High School in 1944. She also attended Pepperdine University and B.Y.U, after which she transferred to Arizona State College (ASU) and graduated in 1951 in Home Economics. To earn money for College she was employed as a secretary for the head of the engineering department of the Bell Telephone Company. Gay and Max were married in the Mesa Arizona Temple on April 12th, 1949. She lived in the Mesa 5th ward, Mesa 10th ward and now the Sunny Mesa Ward (35th ward) in the Mesa Arizona Kimball East Stake of the Church of Jesus Christ of Latter-day Saints. 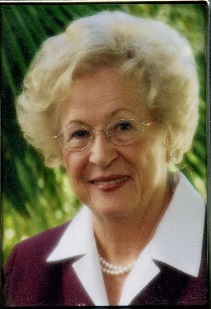 Gay was a lifelong member of the LDS church and served in many leadership positions. Gay was also known for the service she rendered to the people she knew and associated with at church and in the community. She was a member of the Mesa Desert Club and helped host the famous Christmas House for many years. She and her husband Max served a full time mission for the LDS church in Argentina. Funeral services will be conducted at 10:30 am on Saturday August 1st 2015 located at the Mesa Arizona Kimball East Stake Center, 4640 E. Holmes Ave, Mesa, Az. A public viewing will be held Friday evening July 31st 2015 from 6:00pm to 8pm at the Bunker’s Garden Chapel 33 North Centennial Way, Mesa Arizona 85201. Burial will take place in the Mesa City Cemetery. Such an elegant lady – a Dear friend to my parents – an example of style grace and faith. So grateful I was able to know this Elect lady. We are so very saddened and sorry for the loss of your mother, wife, grandmother. She was dearly loved and will be missed. Gay was a good friend of Norene Gunnell’s and she had great times with her. Please give our condolences to your family and especially to Max. You all are in our prayers at this time. Mark, i only know you but have heard nothing but great things about you , your brother, and father. Our condolences at this tender time. May you have an abundance of the Spirit comforting you. She has an amazing family – one of the greatest treasures! Gay was very elect, gracious, lady in every sense of the word. She brought smiles and comfort to all of those she served. She will certainly be missed by her family. As we age life does not become easier and especially when we are alone. I know Max’s family will be a great support. My deepest sympathy goes out to all of them.